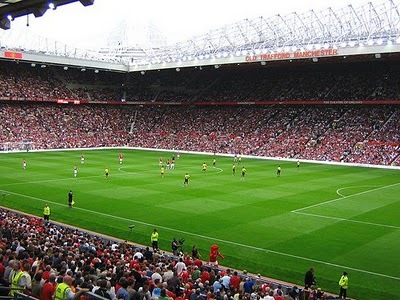 January 2 – A Manchester MP has claimed that taxpayers should not have to pay anything towards the city hosting World Cup matches if England’s bid to stage the tournament in 2018 is successful. 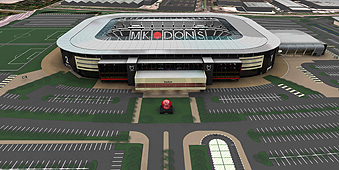 January 2 – AFC Wimbledon fans have started an on-line petition on the Downing Street website to protest about Milton Keynes’ inclusion as a venue for the 2018 World Cup if England’s bid is successful. 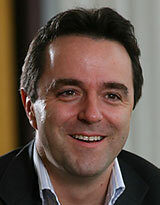 January 1 – Portsmouth officials will meet with Nick Cusack, the chief executive of the Professional Footballers’ Association (PFA), on Monday after the players’ wages went unpaid for a third time this season. December 31 - Phil Anderton (pictured), the former chief executive of the Scottish Rugby Union (SRU) and Heart of Midlothian, has been headhunted by Manchester City owner Sheikh Mansour bin Zayed Al Nahyan to be the head of Al-Jazira, his Abu Dhabi football club. December 30 – The Board of directors for the US Soccer Federation (USSF) has voted unanimously not to sanction the United Soccer League (USL) or the North American Soccer League (NASL) in 2010. 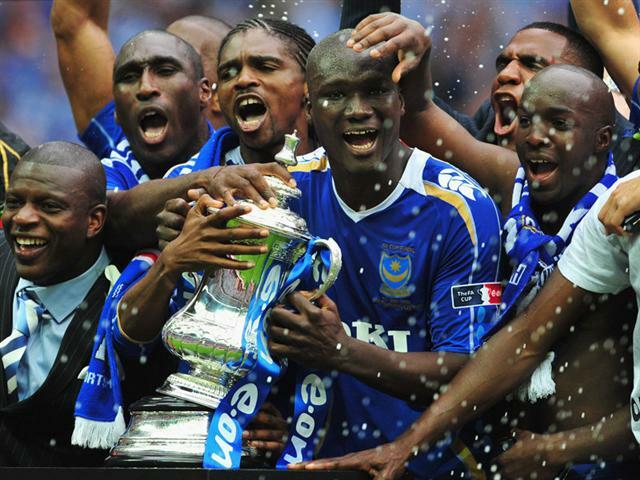 December 30 – Premier League strugglers Portsmouth, who won the FA Cup last year, have been issued with a winding up petition by HM Revenue & Customs (HMRC) and could be the first Premier League club forced into bankruptcy. December 30 – Roman Abramovich (pictured) has effectively written off the club’s £340 million debts to help the Premier League club comply with future UEFA financial controls. 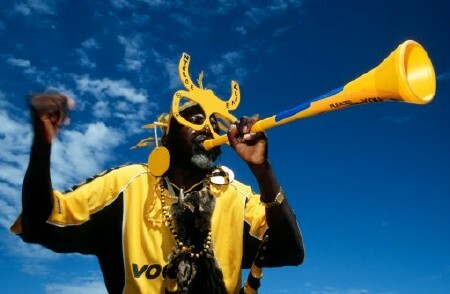 December 30 – The South African public must show more enthusiasm for the 2010 World Cup in their country, chief executive Danny Jordaan said today. 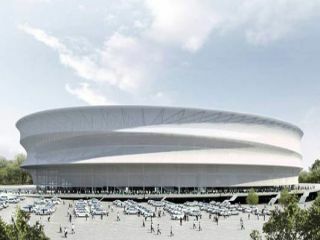 December 30 – Wroclaw, one of four Polish cities due to host the 2012 European Championships, today scrapped a stadium construction deal with Mostostal Warszawa, Mayor Rafal Dutkiewicz said. 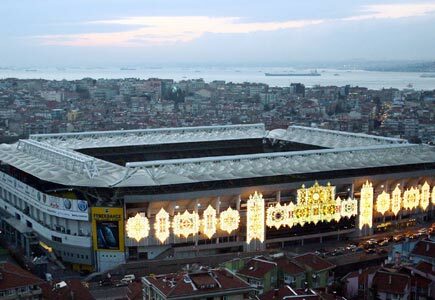 December 29 – Fenerbahce today hit out at the exclusion of its Sükrü Saracoglu Stadium from Turkey’s bid to host the 2016 European Championships. 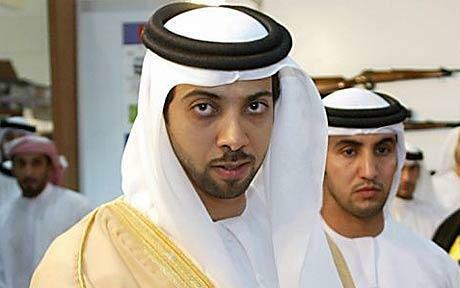 December 29 – Real Madrid has denied that Manchester City owner Sheikh Mansour (pictured) made a €1 billion (£902 million) offer to buy the Spanish club. December 29 – Indonesia may be forced to withdraw its bid to host the 2022 World Cup unless it can persuade the Government to back it, the chairman of the country’s Football Association has admitted. 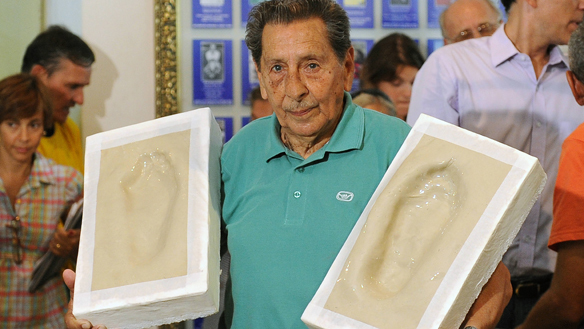 December 29 – Alcides Ghiggia (pictured), whose goal for Uruguay stunned spectators at the Maracana Stadium in the 1950 World Cup against Brazil, has been immortalised at the stadium’s sidewalk of fame. December 29 – Ticket sales for the 2010 African Nations Cup are running late due to logistical problems, an official said today, less than two weeks before the tournament starts in Angola. 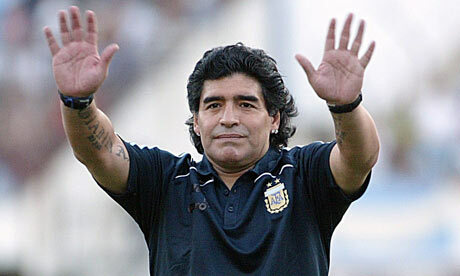 December 29 – Crisis talks have been held between Diego Maradona (pictured) and Carlos Bilardo to try to prevent a damaging split between Argentina’s team management before next year’s World Cup in South Africa.